Over the course of a lifetime we change and so do our homes. Our homes reflect our lifestyles. There are times when we have active lifestyles and times when we slow down. “Universal Design” is a concept that has been promoted to make homes more livable for a lifetime of use. Universal Design features are subtle and stylish. You would never know that a house is purposely designed for use by anyone, at any age and with any ability. Many of these features add both function and value to a home. We are seeing a growing trend in the home building and remodeling industry where Universal Design principles and products are being used more frequently in project planning. 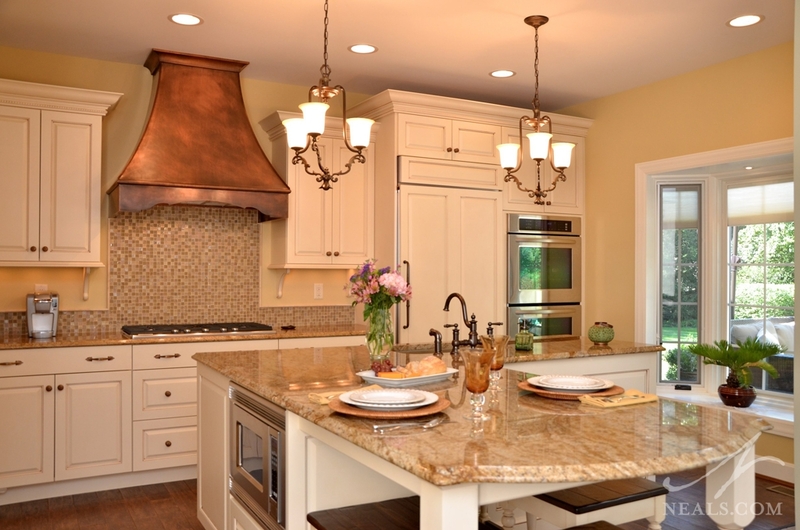 A stylish kitchen remodel by Neal's with several Universal Design considerations. To help you plan projects for your home, we have compiled a new Homeowner's Guide to Remodeling entitled "Universal Design: Products and Features for Safe, Comfortable and Accessible Living". The guide begins by defining the guiding principles of Universal Design. It provides information about how to make adaptations in bathrooms, kitchens and other areas of a house. It includes design ideas that show many products and options. Universally-designed bathrooms place saftey and ease of use first, such as in this master bathroom with a curbless walk-in shower. In the section on Bathrooms you will discover how “Universal Design” features make bathrooms accommodating and safe for all users. There are photos of accessories that add comfort as well as details about tile, lighting and ventilation. 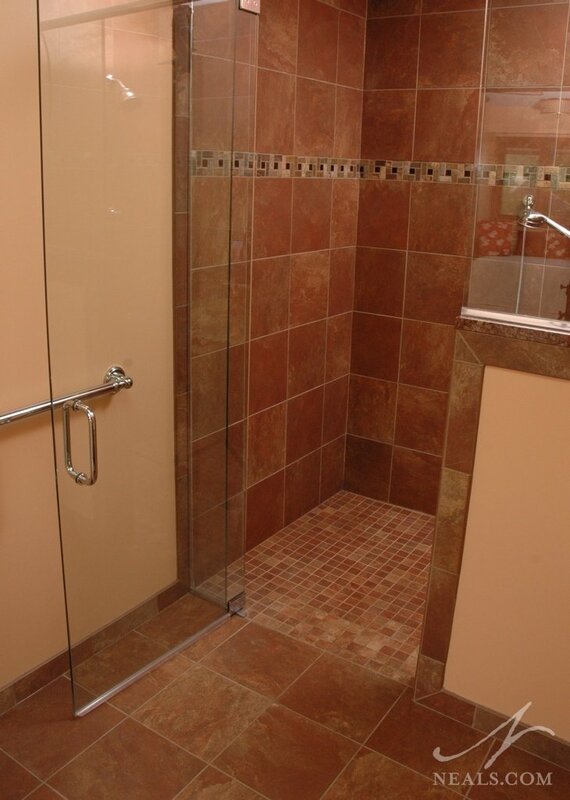 Since we get so many questions about adding a walk-in shower to a bathroom remodeling project, we have included information about design options and products that you can add to make your shower a comfortable and safe experience. 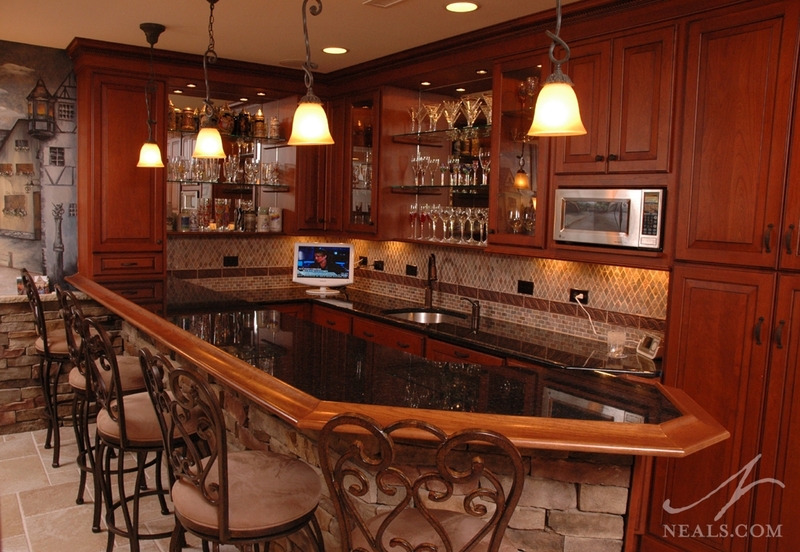 Paying attention the arrangement of functional elements, such as outlets, is an aspect of Universal Design, and has little impact on the room's overall aesthetic style, like in this lower level bar by Neal's. This guide also has sections on how to make a kitchen more accessible and functional by incorporating principles of Universal Design and how and where to add Universal Design features in other rooms. To get started planning Universal Design changes to your home, download our guide, then contact us for a free in-home consultation visit to discuss your needs.